Expectations are growing in the European Regions of Gastronomy, where local competitions are being held to select the finalists who will compete in the European Young Chef Award 2018, to be held in Galway-West of Ireland, European Region of Gastronomy awarded 2018 on 25-26 November. Young talents from the different regions will engage in an international contest aimed to highlight local sustainable gastronomic cultures and products, paying special attention to the narration of the stories that lie behind their dishes, and create young ambassadors for European regions. Recipes presented will be the result of interesting combinations of tradition and innovation that will need to convince an international jury with cross-sectoral expertise including gastronomy, culture, arts and tourism. 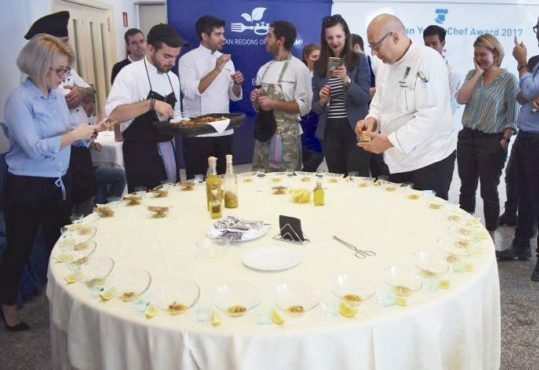 South Aegean, European Region of Gastronomy awarded 2019 will announce its finalist on 22 September, when the local competition will be held on the island of Syros. Read full article at news.gtp.gr.